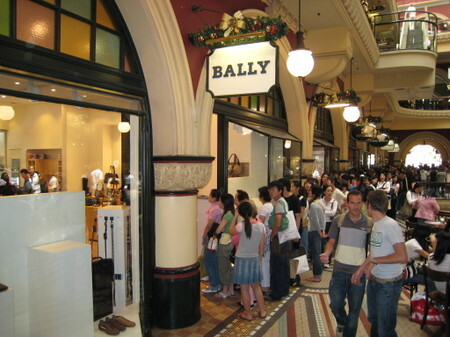 Picture: Dedicated shoppers from Japan and Korea queuing in front of a Bally shop. How long would you wait for purchasing a 50% discounted Bally handbag? The answer for many Asians visiting or living in Sydney is simple: hours. On the 26th of December, called Boxing Day, thousands of Koreans, Japanese and Chinese descended on Sydney’s retailers to hunt for bargains. It wass not uncommon to see them queuing for hours in front of a Bally shop guarded by a bouncer. What a way to spend a day off!